This trophy is on its way to Bob Boswell, winner of the 2013 and 2014 Affordable Trophies Invitational Tournament Contests! The Affordable Trophies Tournament Contest fielded more contestants than ever before. Over 50 customers submitted their pics, and when the dust settled, Bob Boswell, winner of the 2013 contest, came out on top again! A picture of his trophy for this year’s contest is featured on the right; click on it for a closer view. We at Affordable Trophies wish to thank everyone who entered. We hope you had as much fun playing as we did in presenting the contest. Let’s do it again next year! Affordable Trophies Invitational Tournament Contest! We at Affordable Trophies are proud to announce the return of our free NCAA men’s basketball tournament bracket contest, the Affordable Trophies Invitational Tournament Contest! As in the past, there is no cost to play, and there will be an award provided for the top score. And who is invited? All of our customers! Anyone who has purchased from us in the past is eligible to participate. Just our way of thanking you for your support. Register now so that you will be notified when the brackets have been posted! Our tournament contests have always been a lot of fun, and we’re sure that this will be one of the best ever! The tournament contest is actually just the first of a series of planned contests for our customers. Be sure to check our contests page, and follow us on Twitter or Facebook for contest alerts! 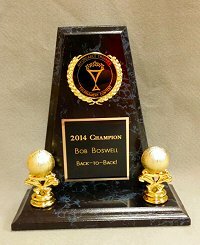 2013 Affordable Trophies Tournament Contest! We at Affordable Trophies are proud to announce the return of our free NCAA men’s basketball tournament bracket contest, now named the Affordable Trophies Invitational Tournament Contest! 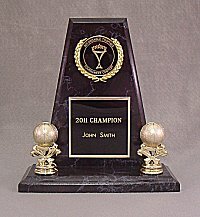 As in the past, there is no cost to play, and there will be an award provided for the top score. And who is invited? All of our customers! Anyone who has purchased from us in the past is eligible to participate. Just our way of thanking you for your support. Episode 008 of the Affordable Trophies Podcast has been uploaded! This blog entry will serve as the show notes for this episode. Regina and Ryan discuss how to make your ordering process as quick as possible this time of year. Or you can download the podcast to your computer to listen to it from there, or to load onto your iPod, iPhone, or other MP3 device. You can see all podcasts available on our web site.